Social history and identity will be explored from a range of perspectives in two new exhibitions at Warwick Arts Centre. The Mead Gallery will present the intriguing exhibitions in a three-month showing. Combining ‘Close and Far: Russian Photography Now’ and John Akomfrah’s ‘The Unfinished Conversation’, the displays will look at influential artists from around the world. In ‘Photography Now’, work by Alexander Gronsky, Olya Ivanova, Taus Makhacheva, Max Sher and Dimitri Venkov will be placed alongside the extraordinary photographs of the rediscovered pre-Revolutionary master, Sergei Prokudin-Gorsky. The exhibition explores how the young artists are approaching the subject of identity in post-Soviet times. And running alongside will be British writer, John Akomfrah’s work in ‘Unfinished Conversation’ which investigates notions of cultural, ethnic and personal identity. Using archives of cultural theorist Professor Stuart Hall to create video installation, he has mixed old and new footage with a stunning soundtrack. Free admission to both exhibitions. Open from January 17 to March 7. 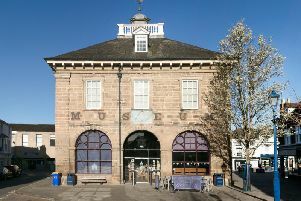 Visit mead-gallery for details and opening times.